Silver and gold, weapons and slaves, shields and long-ships: these, we might imagine, are the proper accoutrements of the sea-borne rover… wool not so much. But unless we are foolish enough to believe in the sword & sorcery stereotype of the barbarian-in-naught-but-furry-loin-cloth, a hard life on the north-sea margins demanded proper clothes. And, whilst furs were an important part of Viking dress (and an important trading commodity), it was woollen cloth that was essential to many aspects of Viking life: sartorial, social and nautical. The Anglo-Saxon kingdoms of Britain were apparently known for producing good cloth – at the end of the eighth century, just as the Viking Age was getting under way, King Charles of the Franks (Charlemagne) wrote to King Offa of Mercia (roughly the English Midlands) to demand that the next consignment of English cloaks be made nice and roomy (‘such as used to come to us in former times’). No doubt some Viking settlers in Britain made similar use of local fashions, but the north had its own deep-rooted traditions of cloth-making. Scandinavian men who settled in the north and west of Britain and around the Irish Sea developed distinctive ways to wear their woollen cloaks, fastening them at the shoulder with silver brooches. These objects are fairly common finds from these regions – silver circles decorated with knot-work or thistle-like bosses, sometimes with huge impractical pins that were better designed to show off the wealth of the owner than to hold his clothes together. In the Viking Age, the production of textiles was considered women’s work; even for a man to be seen hanging around the weaving sheds could lead to suspicions of ‘unmanliness’. But that should not be taken to imply that weaving conferred a passive or subordinate status; the production of cloth could be imagined as a dangerous and powerful act, related to a form of feminine magic that it was unsafe or unwise for men to tangle with – the magic of destiny and prophecy. The web of the future was threaded by the Norns – the female spirits of fate – and even the gods were beholden to the patterns that they wove. It was sometimes a dark and violent tapestry; weaving batons frequently resemble swords, and literary descriptions of cloth production could be loaded with the imagery of war and death. The skaldic poem Darraðarljóð describes Valkyries weaving the outcome of the battle of Clontarf (1014) on looms weighted with severed heads, using human entrails as the warp and weft. But of all the many objects woven from wool in the Viking Age one stands above all others. It defined the Vikings, it enabled them, it literally drove them onwards: the sail. Before the Viking Age, most European ships were powered by oars. 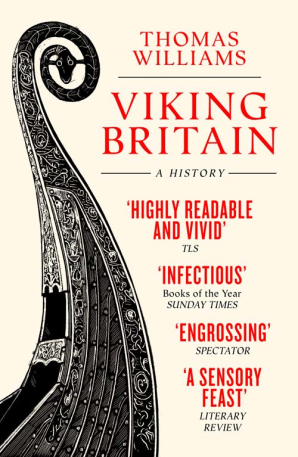 It was the development of the sail that meant that Vikings were able to traverse the North Sea at will and at speed, raiding the coastlines of Britain and Ireland, colonising the islands of the north Atlantic and travelling – ultimately – as far as north America. Many thousands of sheep and hours of labour went into producing a single sail, painstakingly woven and steeped in tar and fish-oil. These objects probably consumed more resources than the ships they powered. It is no wonder that the processes that produced them were held in awe, reverence and fear. Reading this gave me visions of a mother introducing her daughter to the magic art of weaving, a rite of passage as significant as a father taking his son hunting for the first time. Even today a decent mainsail is a significant investment. 1200 years ago it must have taken a colossal team effort from an entire settlement! It would need to be perfect in every way in order to please the gods, that they might guide and protect those who sailed under it, allowing them to return with spoils to share and reinvest.